At Willow Place Retail Centre, Architen Landrell was commissioned to design, manufacture and install a large PVC canopy to shelter shoppers from the weather. As part of Northamptonshires impressive programme of urban regeneration, a brand new retail development has been built in the centre of Corby town. The retail centre has been designed to be a modern retail destination encompassing a sense of character and community. 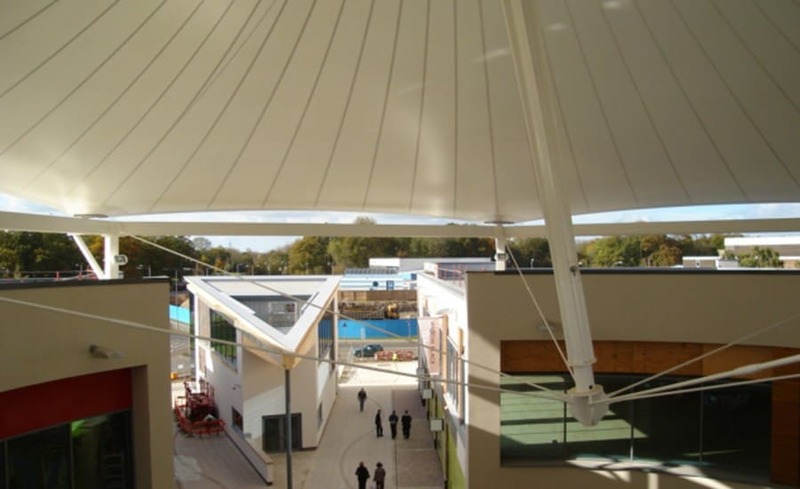 At the centre of the brand new development lies the iconic tensile structure. 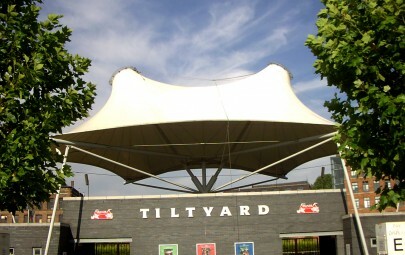 While providing shelter to visitors, the structure was also designed to act as a centre piece in a courtyard area in the main thoroughfare at Willow Place. 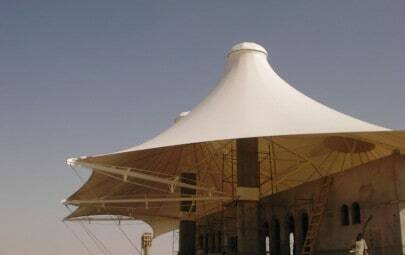 The conic itself, a single PVC coated polyester cone was built with a steel flying mast supported by 6no. mild steel Macalloy tie rods. 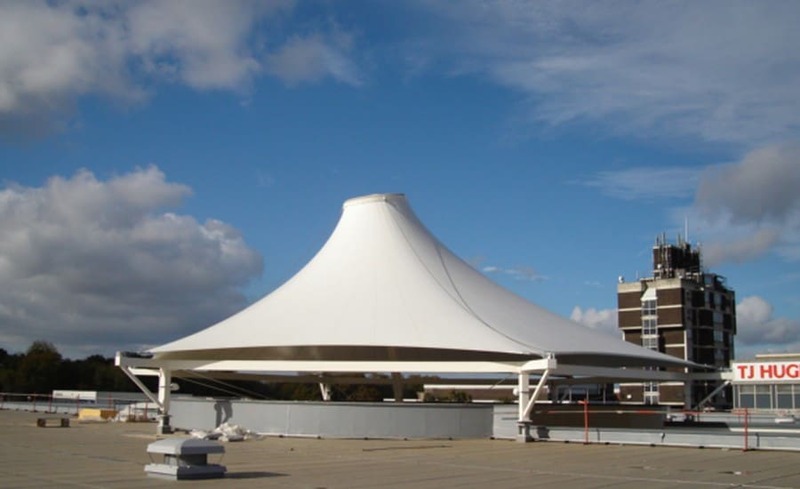 A 3m headring was then covered with a fabric push up cone to provide a sheltered area at the centre of the pedestrian walkway. The structure straddled two buildings and the relative movements of these buildings had to be accommodated. The working area was constricted, and work with other contractors had to be closely coordinated, to avoid clashes and conflict. Site workers had to be incredibly careful in order to avoid causing any damage to the surrounding buildings or to the canopy itself. Fabric is by far the most suitable materiel for this type of application and Architen were stood in good stead to win the project through a good, pre existing relationship with the HBG team. 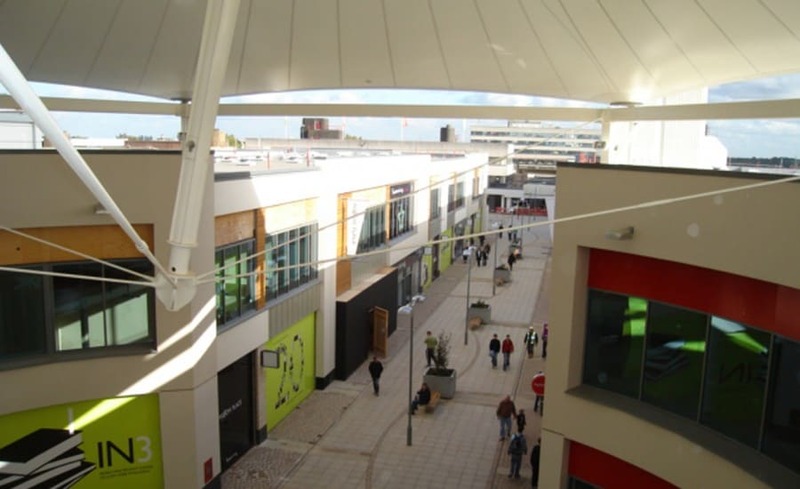 Their expertise in the installation of similar structures, including the fabric canopies at Dalton Park, signalled Architen Landrell out as clear favourite and we were thrilled to win the contract. The fabric was a replacement for an originally cladded centrepiece structure, which was value engineered out an early stage. 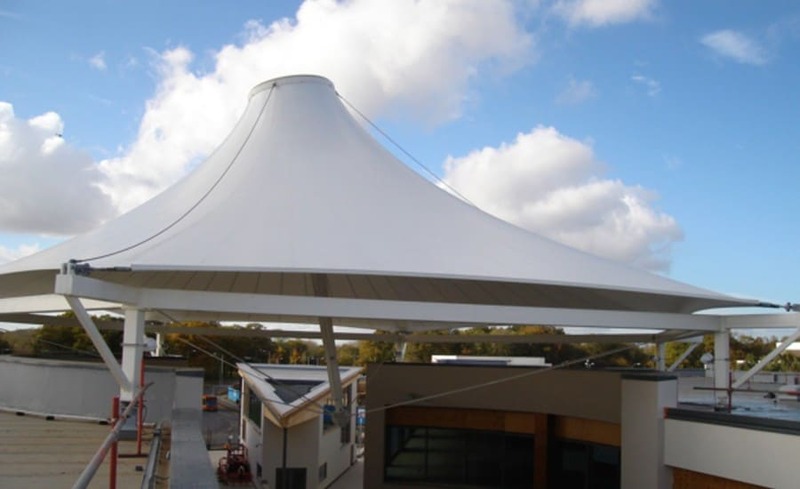 The architects (DLG Architects), were reportedly over the moon having found that the fabric structure gave a more striking result for less expenditure. 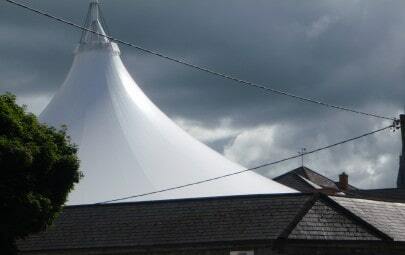 As a result they envisage using fabric structures on future projects!